I was biking to the campus today on the National Holiday of the Netherlands. Yes people, I am going to the campus when every door are closed and you couldn’t open it even you have the superpower card like I have from Alice and Charlotte last September. And this is lesson being learned: NEVER ever go to study (even you are nerd people) in a holiday, a national one! I was already at the back side of Zilverling building, and feels something wrong because the door is so hard to be opened. Wonder why, I thought it was because its the back door (wakaka silly thoughts). And then I am going to the front building, which I pass through Ravelijn and Waaier. Ok, it’s a bit quiet, nobody, just one old man (maybe a lecturer with his PhD student, maybe, talking near the bike park). With confidence, I enter Zilverling, and then.. titt (that’s how it sounds) and then its red. I try it three times the door is still not open. Then I just realize that the whole building was like very dark because all the outer windows are closed either… and then.. I realized no one’s there. I feel a bit stressed because I want to study (what? really?) and the campus is closed, geez…. I have this huge energy to write and then suddenly fly away to the sky (lebay). I want to laugh but no one’s there (tar dikira gila kali). And then right away I called abang said..
and I answer “aha, waarom niet..?” And then suddenly the world seems better again. 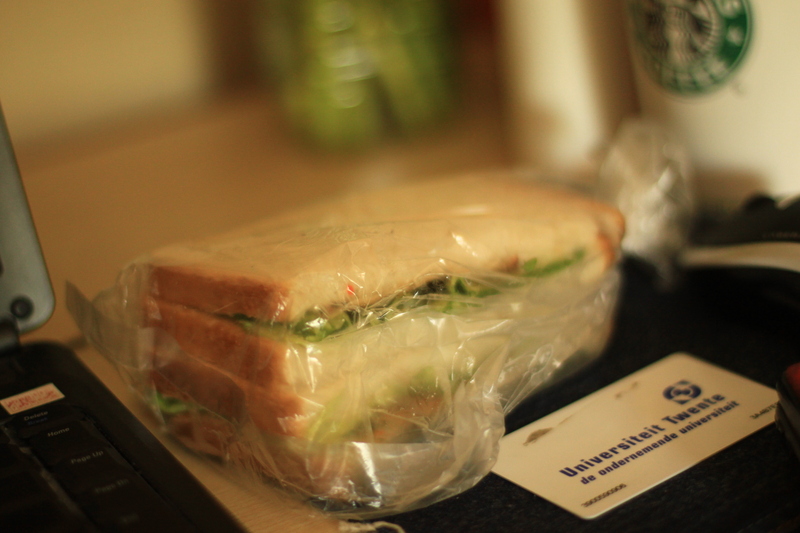 The superpower card and The daily delicious chicken sandwich.